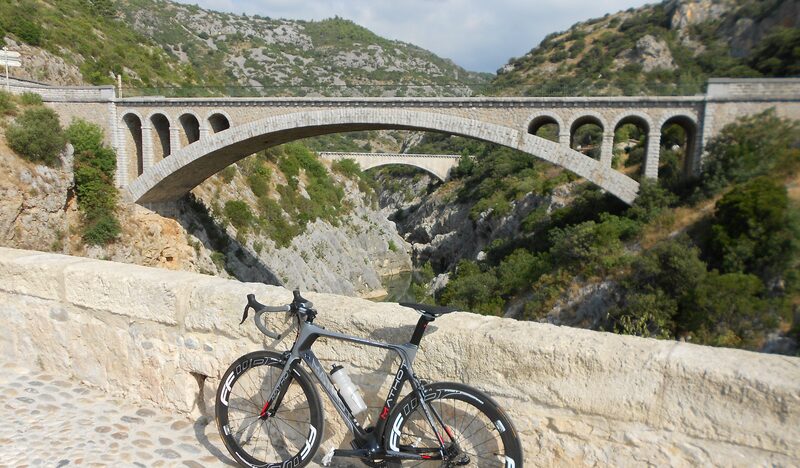 There are a number of reasons why I chose to live in Saint André de Sangonis nestled in the beautiful Hérault Valley but the big one is of course the riding – it’s spectacular! Rolling hills, charming ancient villages, superb scenery, challenging mountains and all with very little traffic. Whatever your fitness level I can help you with the best routes that the region has to offer from 25km spins to 200km days and all from your doorstep – no need for a car! And for the MTBers and roadies alike check out local MTB pro, Victor Koretzky in this video playing in his (and my) backyard at the Salagou Lake, 8 km west of Hidden House. A beautiful place to ride on and off road.